Logan Collins, a troubled teen, moves back to his mysterious hometown to escape his tragic past – a past where his sister was kidnapped, his father was imprisoned, and he was tortured in a sadistic asylum. Logan finds unexpected solace when he meets his soulmate, a girl from his dreams – literally. But despite his new-found happiness, terrifying dangers and magical secrets threaten to shatter his fragile grip on reality. 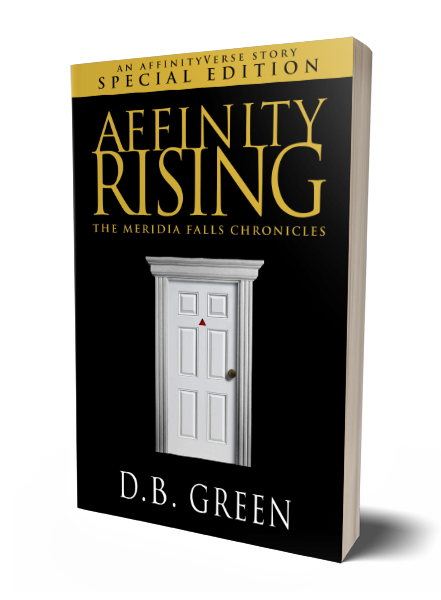 An expanded omnibus novel of THE MERIDIA FALLS CHRONICLES Books 1-5 (THE SPARK, SUNBURST, ENCHANTERS, AFFINITY and THE DARK) featuring an additional 18 new chapters exploring the story from a different POV.